It doesn’t just knock odors down. It eats them up. Deodorizers typically try to mask odors by using a strong scent of their own. BAC-AZAP is different. 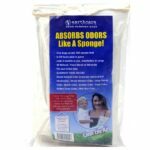 It uses enzymes and live bacteria to actually attack the source of the smell, break it down and eliminate the odor for keeps. BAC-A-ZAP comes in an easy-to-use one quart spray bottle. 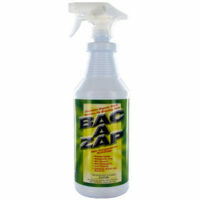 It can be applied by your pest company or you can purchase BAC-A-ZAP from them and apply it yourself. 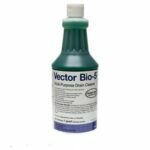 Just spray it on and the bacteria go to work, producing odor-eating enzymes that attack the organic source of the smell. As time goes by, when deodorizers would be wearing off, BAC-A-ZAP is still gearing up—doubling its odor-eating power every 20 minutes until the source is consumed, leaving behind water and carbon dioxide as harmless, odorless by-products. Sometimes you can smell it, but can’t see it. Sometimes it’s a small rodent in the walls or a dead animal in a crawl space. Even after the rodent is removed, the smell lingers. Either way, BAC-A-ZAP offers you a simple and effective solution. Ask your pest company to spray the area with BAC-A-ZAP. BAC-A-ZAP is the only available odor eliminator that consumes decaying organic matter. 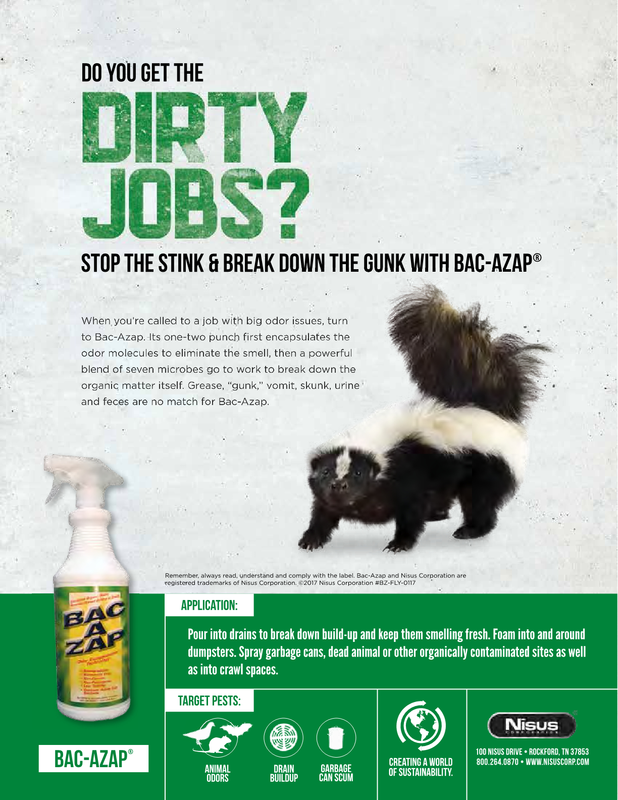 BAC-A-ZAP first uses an odor encapsulation technology similar to popular consumer odor eliminators to immediately remove the offending smell, but instead of simply encapsulating the odor, BAC-A-ZAP’s powerful combination of bacteria and enzymes begin to consume the organic matter causing the odor. The bacteria will continue to double in population as long as conditions remain favorable and there is organic material left as a food source. The increase in bacteria, in turn, produces more enzymes to break down the organic material even further. This cyclical process continues until the food supply is entirely exhausted. Once the organic material is consumed the bacteria die, leaving behind CO2 and water as harmless, odorless by-products. Garbage cans and drains are notorious for trapping organic matter like food and dirt and moisture. This build-up creates odor and is unsanitary. BAC-A-ZAP removes the organic matter in garbage cans and drains, and in doing so eliminates odor. 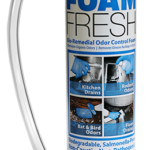 Simply spray BAC-A-ZAP onto the garbage can surface or apply it in the drain every week to prevent build-up and keep the area smelling fresh.